How To Get Bigger Arms - The 1 Muscle Building Secret You Must Learn! HomeWorkoutsHow To Get Bigger Arms – The 1 Muscle Building Secret You Must Learn! Most guys when they want to get bigger arms they start to put more focus on training their biceps. They often use exercises such as biceps dumbbell and barbell curls, for then to finish off with a couple of hammer curls. For sure there is nothing wrong in a good bicep dumbbell workout. It will give you some good strength and some size. But if you really want to get bigger arms and biceps, you must put more attention to your triceps as well. Here it is not enough just to do four sets of triceps cable pushdowns as a finisher to your bicep dumbbell workout. You should actually do more exercises for your triceps than your biceps. Remember that your triceps are two-thirds of your arms and the biceps only one-third. It means if you just focus on your bicep dumbbell and barbell workout your training is inefficient and out of balance. You must put more work into training your triceps together with your bices. On top of that, also remember to pay extra attention to your shoulders, since strong shoulders also will add to the size and promote bicep and triceps growth. But we will train our shoulders on another and in another how-to article. So how should your arm workout look like? In the following, I am going to give you a program that you can use to get you started. I recommend you to do this routine every five or at least every seven days, to get the best results. If your arms are your week spot, I recommend you to pay full attention to them and not train other muscle parts on this day. With this workout, you are going to pay close attention to your biceps and triceps. Your biceps are also called biceps brachii and consist of two muscles, the short-headed and the long-headed bicep muscles. Triceps also goes under the name triceps brachii and consists of three muscles, the long head, lateral, and medial head triceps muscles. When you train them, they will form this big chunk of muscle tissue on the other side of your biceps. So let’s get started. I have added some videos so you can get a better understanding of each exercise, movement, and form. You can mix things up if you want, like starting out doing your triceps first. You can also switch between biceps and triceps in each exercise. The more variation you make, the better for your muscle growth. do 4 sets and a rep range starting at 12. Increase your weight so you can barely do 8 reps in the last set. Barbell curls is a great starter because most guys are a little bit stronger in this exercise compared to dumbbell curls. 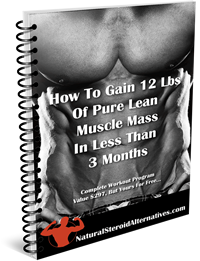 It means you will be able to put a great workout load on your muscles and get better results. Alternatively, you can also do this exercise using dumbbells, like every second time. But it does not give you the same workload on your arms than the barbell curls. Make sure to keep your back straight and not bouncing. In fact, you will get a more out of your bicep dumbbell curls if you grab a bench and set it to incline. First, you will have to drop your macho instinct because you will likely be able to lift less weight in this position. But you are going to feel a great burn in your biceps, and a good mass builds up afterward. A great benefit of doing the incline biceps dumbbell curl is that you will lock your back so you cannot bounce as much. It means you will put more concentration on the actual exercise. 4 Sets, starting with 12 reps and going down to 8 reps in the last set. Preacher bicep curls is a great exercise to squeeze the last energy out of your biceps. What is great about this exercise is that you will be working concentrated with your biceps. Since you are sitting down, you will not be able to bounce with your back to get the weight off. Now, it is time to take a closer look at your triceps. As I said earlier, I recommend you to do more exercises for your triceps than your biceps. First of all, they take up a more significant area of your arms. Second, because they contain three heads and not just two as with your biceps. Dips is a compound movement that not only will train your triceps but also will give your chest, shoulders, and back a good workout. Here we mainly use it as a start for our triceps. Do four sets doing as many as you can. If you are doing 20, 30, or more, you can use a chain belt and add some weight plates, to get your rep range down to between 12 to 8. If you cannot lift your own weight, I suggest that you use the dips machine where you can go light with the weights. Workout yourself up to be able to do dips using your body weight, as a minimum. Here is a great press exercise similar to regular bench press. But instead a little more than shoulder width, you hold the bar a lot closer. The close grip bench press is a great triceps builder. Don’t get surprised if you can do less compared to your bench press. There is an effective way of doing this and a less effective way. The less effective way is when you are lying down on a flat bench moving the weight above your weight. In this angle, you are putting unnecessary pressure on your elbows, tendons, and ligaments. Instead, do the french press on an incline bench set to close to a 90-degree angle. Push the weight above your head without fully extend and with bending too low. Have a buddy to spot you if needed. At this point, you have already pushed your triceps so doing the triceps cable pushdown as a finisher will give you a burning sensation that will make you feel good. Again do four sets and between 12 – 8 reps. When doing this exercise, make sure you are not ending up standing like a gorilla moving your shoulders forward when pushing like the guy in the video. Keep your back straight, and shoulders back. It makes the exercise more difficult, but this way you will be working your triceps a lot better. What about concentrated biceps curls, hammer curls or my upper arms? Well, you can do them, but in my opinion concentrated biceps curls are a waste of time. Your biceps will get plenty of exercises, not only from doing this workout but also from doing compound movements when you are training chest and back. When it comes to upper arms? They will get plenty of training as well! If you train them separately, you may end up overtraining them, making it impossible to train the rest of your body. If you want, you can squeeze in some hammer curls in your workout. In that case, use them as a finisher and not the top exercise of the day. One thing is working out to get bigger muscles and your diet, another issue is the use of supplements. If you want to speed up your muscle building progress, I highly recommend you to check out our Crazybulk D-Bal review. It is all-natural but is capable of mimicking the effects of steroids like Dianabol. It means you can progress with your muscle building on a higher level but not risk any severe side effects. If you believe your testosterone levels are low and is holding you back from building lean muscles and strength, then Testo Max is the supplement to check out. Muscle building doesn’t have to be all about getting bigger, it is also about improving your athletic performance and endurance. If you are doing and competitive sport, you can with benefits use a supplement like Trenorol.